When it comes to selling your home, there are several selling avenues you can utilize rather than just the traditional avenue of going through a Realtor. The traditional selling process can be lengthy, complex and burdensome, and sometimes, that process isn’t what is most convenient for you, the seller. Sometimes, you just need to sell your house for cash, and that’s where our team at Cash 4 Kansas Homes can help. Our cash for houses business provides a practical and alternative real estate solution for you to sell your house for cash when you need to sell it quickly and with a minimal amount of worry. Cash 4 Kansas Homes is proud to have local, Kansas City real estate experts that can provide you with a simple, hassle-free solution. We buy houses for cash, no matter the condition of the home. Contact us today to see how you can sell your house for cash and how we can provide you with some financial relief. 1. Your home has significant financial burdens from unexpected damages. You never know what unexpected situations can happen when you become a homeowner. Sometimes inclement weather doesn’t work in our favor, destroying the exterior of our homes to cost thousands in damages. Other times, fires or burglaries can bring huge financial burdens that we didn’t plan for either. If your home has significant financial burdens from unexpected damages that you can’t or don’t want to pay for, our cash for houses business will look past them and notice the true beauty of your home. 2. You need to avoid foreclosure. In late 2017, there were more than 700 properties in the Kansas City area that faced some sort of foreclosure — about 10 percent higher than previous years. As a homeowner, it can be extremely difficult to stay up-to-date with costly mortgage payments, and when you fail to do so, your emotional wellbeing and your credit score can take a hit. If you decide to sell your house for cash, you can sometimes get rid of your property before you receive an official foreclosure notice, providing you with the quick mortgage relief you need. 3. 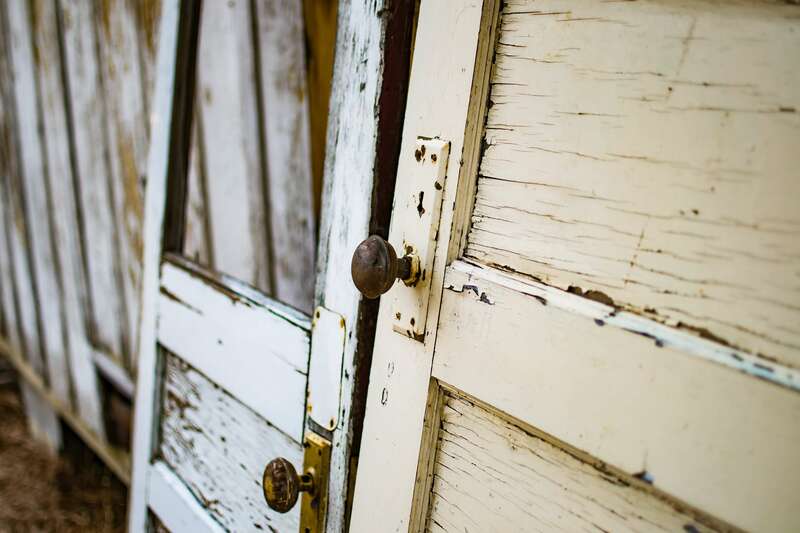 You’ve inherited a home you don’t want or one that is in terrible condition. Sometimes, family members or other individuals in our lives leave something to us we can’t afford or simply don’t want. A home is one of those things, and if you’re in the Kansas City area and need to get rid of it fast, we can give you a fair, all-cash offer. 4. You’re going through a divorce. Unfortunately, marriage is something that doesn’t always last as long as we intend it to. If you have a home on your hands that you bought with your former partner, it can be difficult to afford a mortgage as an individual. Instead of going through a traditional real estate agent and waiting months — sometimes years — to split the profits of your former home, you can speed up the process by selling your house for cash. Ultimately, this will also speed up your divorce conclusions as well. 5. You’re retiring or already retired. If you’re nearing retirement or have already retired, you might be looking to relocate to a warmer state than Missouri. We’re all about helping you move to Hawaii or Arizona, but sometimes, if you go through a traditional Realtor, it can take a long time before you’re soaking in the sun. Sell your house for cash and you relocation plans won’t be delayed. You’ll then have immediate cash in your pocket and the freedom you need to settle down elsewhere. 6. You’re a landlord with too much on your plate. The life of a landlord isn’t an easy one, especially if you’re juggling multiple properties to manage and take care of. Between regular maintenance and undesirable tenants, you might find yourself struggling to make a profit on your rentals. If you want to speed up the process of selling your home, sell your house for cash at Cash 4 Kansas Homes. 7. You’re a less-than-great property investor. Thanks to the recent popularity of home flipping shows on television, many Americans have tried their hand at buying old, beat-up houses and trying to renovate them into profitable investment properties. Unfortunately, not everybody is successful in these endeavors, and you end up with a home you simply cannot renovate successfully or sell. If this is your situation, our team at Cash 4 Kansas homes can help alleviate you of the financial burden of your failed fixer-upper. 8. You don’t want to pay a Realtor’s fees and commissions. Real estate agents rightfully don’t work for free, but most will take about 7 percent of the overall sale total of your home for their fees and commissions. To put this number in perspective, that means if your home was sold for $300,000, about $18,000 of that would go toward your Realtor. When you sell your house for cash, you get every penny of the money you make from selling your home. At Cash 4 Kansas Homes, we believe in a fair trade of goods for cash, and we won’t tack on any fees or commissions. 9. You don’t want to fix, clean or invest money into your home to sell it. Lastly, when you decide to sell your home on the traditional real estate market, you can sometimes end up spending a lot more than anticipated on preparing your home to sell. From cleaning it to repairing certain aspects of it, the prices can add up quickly. If you want to avoid pumping money into a home you’re not going to live in, we suggest you sell your house for cash. That way, you can sell your home as-is. If you find yourself in one of these unfortunate and unexpected situations and you need to sell your house for cash quickly, contact our team of real estate experts at Cash 4 Kansas Homes today. We’ll make your home-selling process as easy and efficient as possible, as we have more than 50 years of combined experience in this industry under our belts. With no hassles or obligations attached, you have only cash to gain and nothing to lose (except your burdensome home, of course). Don’t worry about the condition of your home either — we only make fair cash offers on homes we’re serious about, and we can close the deal in as short as one to two weeks. For more information, call our team at (913) 276-0769 or fill out our online form to get an all-cash offer for your home.